Mount Kilimanjaro climbing is one of the ultimate accomplishments for both first time and experienced climbers. Kilimanjaro has a range of different climates and you need to be equipped so that you are comfortable at the different altitudes. As you ascend, Kilimanjaro weather gradually changes and gets colder and the increasingly thinner air can bring about altitude sickness. Altitude sickness is caused by the failure of the body to adapt quickly enough to the reduced level of oxygen in the air as one gains altitude. While climbing you may experience different symptoms of mild altitude sickness, with the most common being headaches, light-headedness, nausea, sleeplessness and a loss of appetite, loss of balance and dizziness. In most case these ailments are controlled by taking painkillers such as panadol or similar. All climbers are advised to countercheck their body conditions, and should openly communicate with their Guides. Our experienced guides are all well trained in highly specialized First Responders Wilderness training and can spot acute mountain sickness. Unlike many operators, Trek2kili carries oxygen on all climbs and we perform daily health and pulse oxymeter checks, which measures both your heart rate and percentage of oxygen in your blood. We want to ensure and monitor your health and safety at all altitudes. 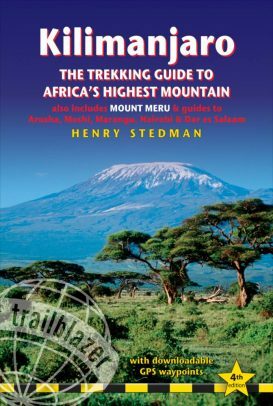 With exception of the Marangu route where accommodation is in huts, you will be sleeping in tents every night, so it is important to have proper weather rated sleeping bags and clothing. Walking pace should be slow and steady. We recommend you take your time and walk slowly to give yourself the best chance of fully acclimatizing as well as reducing fatigue for the following days. Minor altitude sickness on Kilimanjaro causes most climbers to experience a loss of appetite, however it’s important to eat well and maintain your energy. Staying hydrated is essential drinking a minimum of 3 litres per day. We recommend reducing or eliminating your caffeine intake – as it has a diarrhetic effect which can cause dehydration. Trekking high, descending low is the best technique to help your body acclimatize. Our climbing itineraries have been prepared to follow this practice, giving you the best possible chance of success to reach the summit. It is strongly recommended to not smoke or drink alcohol when climbing. As always it’s best to seek a doctor’s advice before you travel and upon arrival at your briefing listen to your Guide’s advise. Many clients choose to take Diamox before attempting Kilimanjaro and report noticeable increase in comfort and reduction of symptoms. This of course is an individual choice. You can easily purchase this medication at a local pharmacy for less than $5 for a week supply. We advise trying the medication prior to leaving for the climb to detect any possible adverse side effects. Numbing of fingers, cheeks and toes is common. Hypothermia occurs when your body is unable to generate enough heat to keep your body at a healthy temperature. As the weather on Mount Kilimanjaro can change quickly and a covering of mist and rain is commonplace, wet clothes can increase your chances of decreased body temperature. Proper clothing and rain gear can usually prevent this from occurring. While treatment of this illness is simple, it should not be underestimated. Removal of wet clothes, warming by fireside and rest usually brings relief. It’s important to remember, given the altitude and extreme temperatures, once clothing is wet it will not dry on the mountain. This is by far, the most common affliction of climbers on the mountain. Most people overwhelmingly underestimate our close proximity to the equator and high altitudes. About 55% of the earth’s protective atmosphere is below an altitude of 5000m. Above that height, far less ultraviolet light is being filtered out, making the suns’ rays much more powerful. It is strongly recommended to use a 30+ sun protection cream at lower altitudes, and a total block cream above an altitude of 3000m. Wearing sunglasses when climbing is a must, especially for summit as the morning reflection of the sun can possibly lead to snow blindness. Snow blindness is a painful injury that may require your eyes to be bandaged for sometime. It is imperative that you have travel insurance coverage for your Kilimanjaro climb. If you need to be taken down to a lower altitude as a matter of urgency, there are two options. It sometimes happens that climbers can’t continue or experiences acute sickness, In such instances, steel framed, mobile stretchers can be pushed by porters to descend quickly. Most people feel immediate relief at lower altitudes. You will be evaluated and if the guides determine you are well enough, you will wait for others in your group at a lower camp or taken to the gate where you will find our vehicle to transfer you to Moshi for rest and medical treatment if necessary. While waiting for the rest of your group, at your hotel we will monitor your health, and can assist with planning local activities to keep you busy if time, interest and health permits. For more serious concerns, Trek2kili has an agreement with Kilimanjaro SAR (SAR – Kilimanjaro) a helicopter based in operations company which is stationed at Moshi Airport and it can evacuate you in case of any severe problems. Their helicopter is able to land at any camp with a helipad up to Cossovo Camp (15,892 FT-4892M). What’s important is for you to be medically covered up to 6,000 meters above sea level.